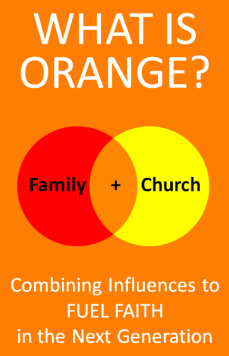 inSpirit Church » WHAT IS ORANGE? inSpirit Church ABOUTWHAT IS ORANGE? The truth is the church has only 40 hours a year to reach into the lives of the next generation. By combining with the families' 3,000 hours, it allows us to connect with them on a deeper level, allowing them to see their world differently and experience something they will not soon forget. Orange is a comprehensive plan from birth to college that incites wonder, provokes discovery, and fuels passion in the heart of each child. These elements help children and families to see God for who He is and helps them to see how God sees them, allowing them to love others the way God does. Orange is a strategy for reaching the next generation. It is about combining critical influences in the lives of the next generation to make a greater impact on them. Orange takes Yellow which is the light of the church and Red which is the love of the family and combines the strengths of each of them to make Orange. Orange shows the next generation who God is. Red and Yellow combined can do far more then if they were apart. Orange is driven by relationships. Orange emphasizes the need for community and intergeneration relationships. It connects children to leaders who invest in their lives and shows them they are not alone. Orange leads with an end in mind. For the children growing up in this ministry with an authentic faith in Jesus, that connects them to a better story for their life.